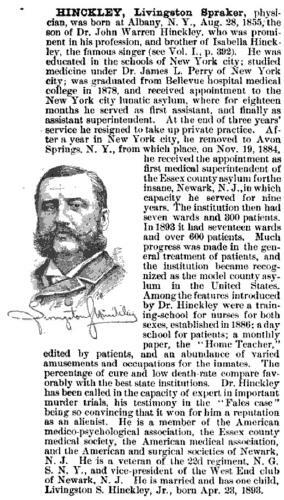 John Hinckley was born perhaps about 1782.
living at Ward 4, Albany, Albany County, New York. Image from the Library of Congress Prints and Photographs Division Washington, D.C.
William Browning, Medical heredity: distinguished children of physicians (United States, to 1910), The Norman, Remington Company, (1925) , p. 29. Lot number of burial: 3. 1850 United States. Census Office. 7th census, Population schedules of the seventh census of the United States, 1850, Washington, District of Columbia: National Archives. Central Plains Region, (1964) , Census Place: Albany Ward 4, Albany, New York; Roll: M432_471; Page: 208A; Image: 418.
living at 15½ Rose st., Albany, Albany County, New York. 1880 United States. Census Office. 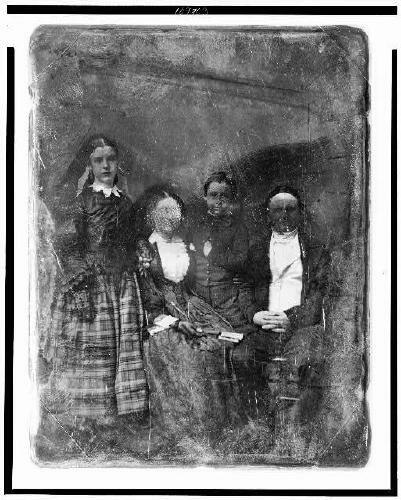 10th census, 1880 federal population census, Washington, District of Columbia: National Archives and Records Service, ([19--]) , Census Place: Albany, Albany, New York; Roll: 805; Family History Film: 1254805; Page: 178D; Enumeration District: 007; Image: 0359. Town and City Clerks of Massachusetts, Massachusetts Vital and Town Records, Provo, UT: Holbrook Research Institute (Jay and Delene Holbrook), , Image 3640. 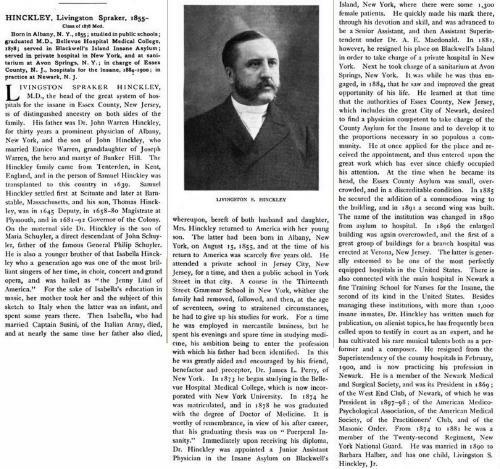 Joshua L. Chamberlain, New York University: Its History, Influence, Equipment and Characteristics, with Biographical Sketches and Portraits of Founders, Benefactors, Officers and Alumni, Vol. 2, , at https://books.google.com/books?id=lV1NAAAAYAAJ . Boston: R. Herndon Company, (1903) , pp.204-6. The National cyclopaedia of American biography, Vol. 5, , at https://books.google.com/books?id=_3BGAQAAMAAJ . New York: James T. White & Company, (1900) , p. 303. "United States, GenealogyBank Obituaries, 1980-2014," database with images, FamilySearch (https://familysearch.org/ark:/61903/1:1:QV53-XYX8 : 10 September 2016), Dr Livingston S Hinckley, Florida, United States, 25 Sep 1985; from "Recent Newspaper Obituaries (1977 - Today)," database, GenealogyBank.com (http://www.genealogybank.com : 2014); citing , born-digital text. "United States Census, 1940," database with images, FamilySearch (https://familysearch.org/ark:/61903/1:1:K4BV-91P : accessed 29 September 2016), Livingston S Hinckley in household of Barbara Hinckley, Ward 9, Newark, Newark City, Essex, New Jersey, United States; citing enumeration district (ED) 25-257, sheet 1A, family 9, Sixteenth Census of the United States, 1940, NARA digital publication T627. Records of the Bureau of the Census, 1790 - 2007, RG 29. Washington, D.C.: National Archives and Records Administration, 2012, roll 2419. "Florida Death Index, 1877-1998," database, FamilySearch (https://familysearch.org/ark:/61903/1:1:VVVX-VH1 : 25 December 2014), Livingston S Hinckley, 21 Sep 1985; from "Florida Death Index, 1877-1998," index, Ancestry (www.ancestry.com : 2004); citing vol. , certificate number 85328, Florida Department of Health, Office of Vital Records, Jacksonville. Record added: Nov 05, 2016. "United States Public Records, 1970-2009," database, FamilySearch (https://familysearch.org/ark:/61903/1:1:KLF7-M7S : 22 May 2014), Livinston Hinckley, Residence, Hialeah, Florida, United States; a third party aggregator of publicly available information. Edwin Ruthven Hodgman, History of the town of Westford, in the county of Middlesex, Massachusetts, 1659-1883, Lowell, Mass. : Morning Mail Company, (1883) , p. 411. "Massachusetts Deaths, 1841-1915," database with images, FamilySearch (https://familysearch.org/ark:/61903/1:1:N7R9-4VJ : 10 December 2014), Lucy Prescott, 25 Sep 1853; citing Boston, Massachusetts, v 77 p 71, State Archives, Boston; FHL microfilm 960,169. Lucy Hinckley was born perhaps about 1813. "New York Marriages, 1686-1980," database, FamilySearch (https://familysearch.org/ark:/61903/1:1:F64R-8JS : 12 December 2014), Gilbert C. Fowler and Lucy Hinkley, 10 May 1837; citing reference ; FHL microfilm 1,311,105. "Massachusetts State Vital Records, 1841-1920," database with images, FamilySearch (https://familysearch.org/ark:/61903/1:1:23TK-3VG : 4 December 2014), William Drake Fowler, 09 Dec 1920; citing Death, Framingham, Middlesex, Massachusetts, United States, certificate number 297, page 492, State Archives, Boston. "United States Census, 1860", database with images, FamilySearch (https://familysearch.org/ark:/61903/1:1:MCWQ-5G4 : 30 December 2015), Gilbert C Fowler, 1860. James Savage, A Genealogical Dictionary or The first Settlers of New England showing Three Generations or Those who came Before May, 1692 on the Basis of Farmer's Register, (1862) , vol. 3, p. 488. Samuel A. Bates, Records of the Town of Braintree 1640 to 1793, , at https://books.google.com/books?id=24Y-AAAAYAAJ . Randolph, Mass. 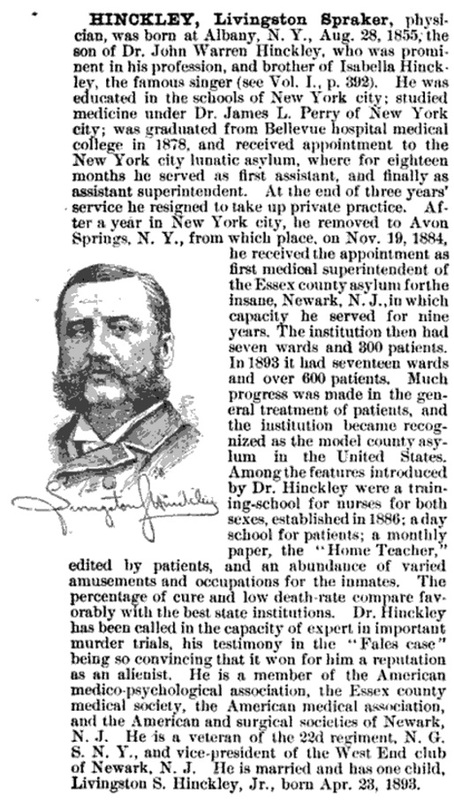 : Daniel H. Huxford, (1886) , p. 767. George W. Messinger, "The Hinckley Family", New England Historical and Genealogical Register Vol. 13 (1859): p. 210-1. Boston, Mass. : Church Records, , Old South Church, p. 220. "Massachusetts Deaths and Burials, 1795-1910," database, FamilySearch (https://familysearch.org/ark:/61903/1:1:FHZ8-GRL : 10 December 2014), Mary Hinckley Church, 11 Nov 1858; citing , reference 132; FHL microfilm 837,888. "Massachusetts Births, 1841-1915", database with images, FamilySearch (https://familysearch.org/ark:/61903/1:1:FXCS-DF3 : 1 March 2016), Mary F. Hinckley, 1850. John Woolf Jordan, Genealogical and personal history of the Allegheny Valley, Pennsylvania, New York: Lewis Historical Publishing Co., (1913) , Vol. 2, p. 708. Unknown author, "Barnstable, Massachusetts Vital Records", The Mayflower Descendant : Vol. 6, Page 98. Jacob Chapman, Lane Genealogies: English family, Rickmansworth, Hertfordshire, 1542-1758; Job Lane, Malden, Mass., 1649; James Lane, Casco Bay, Maine, 1650; Edward Lane, Boston, Mass., 1657, , at https://books.google.com/books?id=8x4xAAAAMAAJ . Exeter, N.H.: The News-Letter Press, (1902) , Vol. 3, p. 28. James Savage, A Genealogical Dictionary or The first Settlers of New England showing Three Generations or Those who came Before May, 1692 on the Basis of Farmer's Register, (1862) , vol. 1, p. 475.